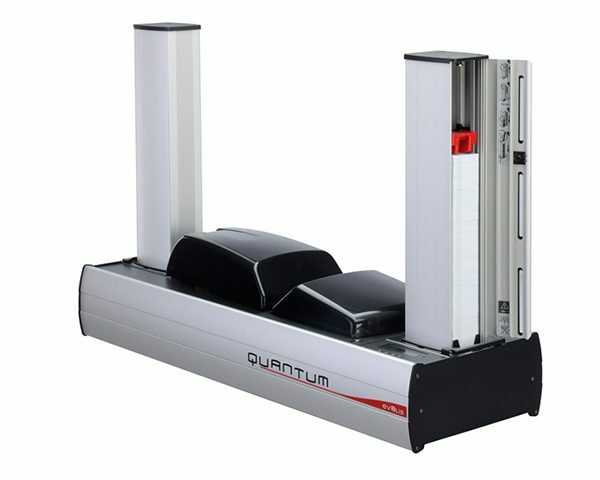 The Quantum printer is the solution for printing and encoding cards in large volumes. It personalizes the cards front and back, in color or monochrome, with a record printing speed. 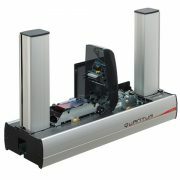 Quantum combines the feel of a desktop printer with the power of an industrial printer for centralized production of plastic cards in large quantities. 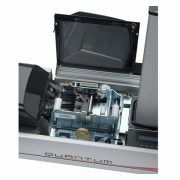 The Quantum card printer is the solution for printing and encoding cards in large volumes. 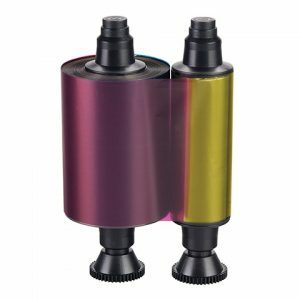 It personalizes the cards front and back, in color or monochrome, with a printing speed of more than 1000 cards per hour. 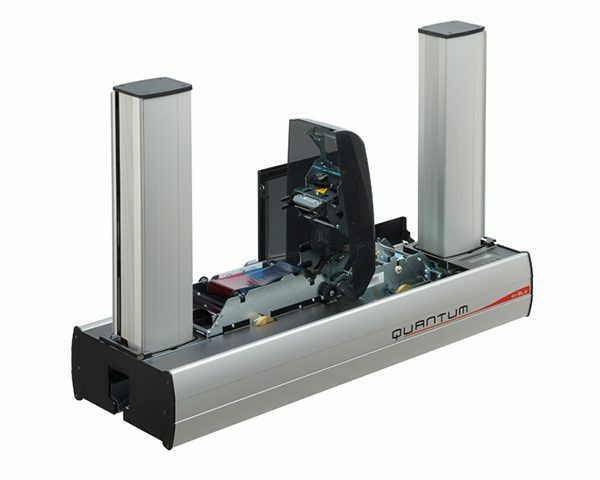 Quantum combines the feel of a desktop printer with the power of an industrial printer for centralized production of plastic cards in large quantities. 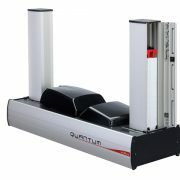 Thanks to its feed tray and stacker with a capacity of 500 cards each, the Quantum printer can deliver more than 1000 cards per hour in monochrome and more than 150 cards in color. 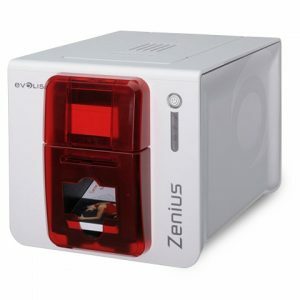 With the reversible encoding module that is independent from the print module, the cards are encoded and printed in a single pass. LCD display showing printer status and consumable levels. Quantum can handle large volumes of cards with very high print quality, providing a very economical alternative to industrial card printers. You can produce your cards yourself instead of having to go to an outside provider. 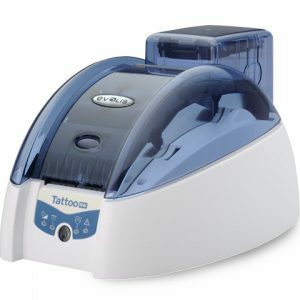 The printer comes standard with a removable encoding module for combined encoding of magnetic stripes, contact smart cards and contactless cards. 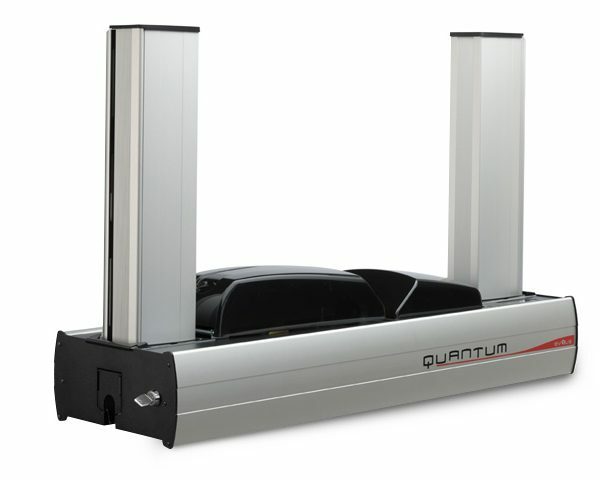 Quantum can be customized on-site to meet your specific needs as they evolve. 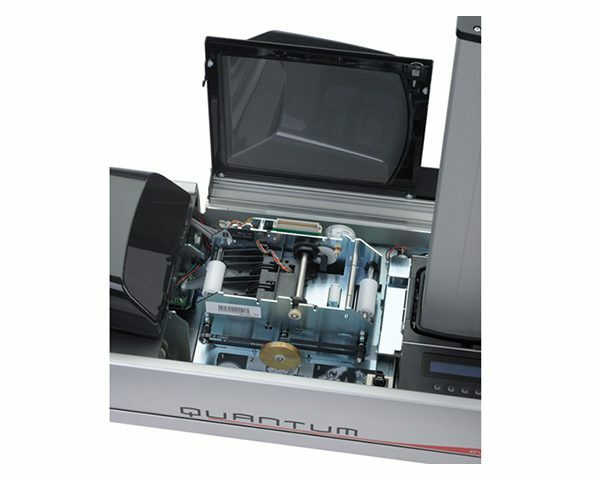 Quantum has an optional central locking feature to protect access to consumables (cards and ribbon) and to the encoding module, to make your card issuance system safe and secure. dust and dirt. 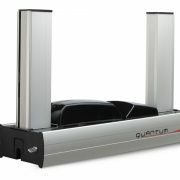 Thanks to Quantum’s top quality design, you can be sure that your investment will last. With our standard warranty covering 500,000 insertions the first year and our optional warranty extensions, you don’t have to worry about a thing. 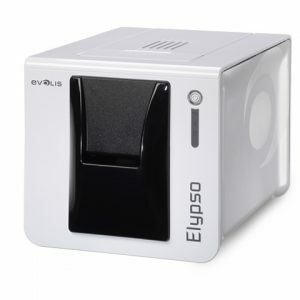 1 Under specific conditions / 2 Depending on the printer model / 3 Warranty subject to observance of specific conditions and use of Evolis High Trust® ribbons. An insertion is equivalent to printing a card on one side, or encoding it.